We acquired the brand new Groove skiboard carry bag/backpack 90cm which was a find. Groove was one of the original skiboard companies. 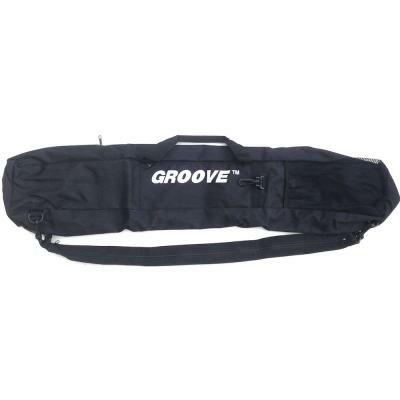 We acquired the brand new Groove Skiboard Carry Bag/Backpack 90cm which was quite a find. Groove was one of the original skiboard companies. These bags are well made and feature a top loading zipper entry, hand straps, shoulder straps, two side mesh pockets and two clips for gloves, etc. on either size. 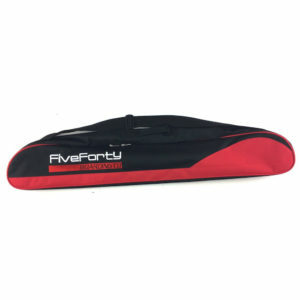 These bags are made with heavy duty construction, lined and easy to use for transport. Shoulder strap has a zipper in the middle that when unzipped converts this bag into a backpack with two shoulder straps. It is quite the bag for a great price. Make sure to read the note below for sizing. It does NOT fit any skiboards mounted with Snowboard Bindings or any other size skiboards with release bindings other than those mentioned above. If you don’t mind skiboards sticking out a little, you can also consider the 99cm Salomon Used Snowblades or Sporten Stringer 99cm.